Pinch me I must be dreaming! 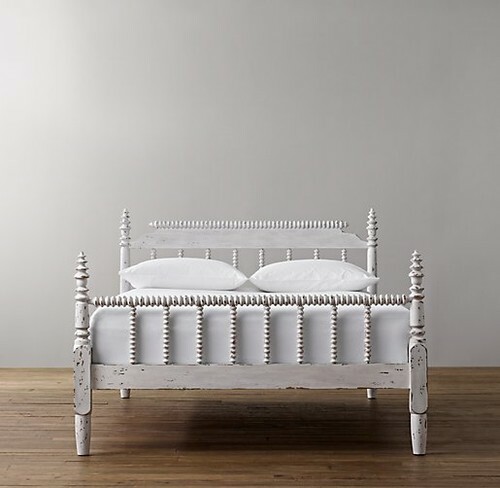 This full-size, 19th century Jenny Lind style Restoration Hardware spindle bed is SOLD OUT at RH Baby & Me. 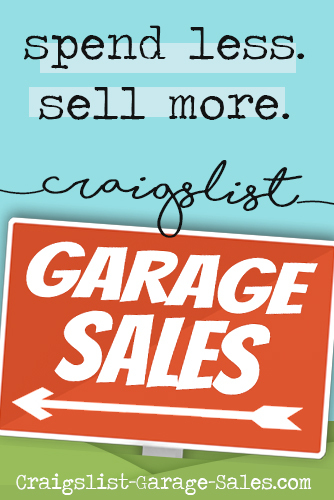 But today I found one listed for sale on Craigslist that I am so excited to share with you! There is, however, one small catch. Although I don't think it's a deal-breaker — not when it comes to a spindle bed this special, anyway. And especially not for die-hard Jenny Lind fans. I'm crazy about the heavily distressed finish, which I think really sets the bed apart. I love that it has both spool turned posts and top rails as well as spindles in the footer. I also love the (partially) solid headboard, which most Jenny Linds lack. All that ... and incredibly versatile style, too! The bed isn't available here locally in Oklahoma City. I found it on Dallas.Craigslist.org. A circumstance which, again, in my humble opinion, doesn't have to be a deal-breaker. 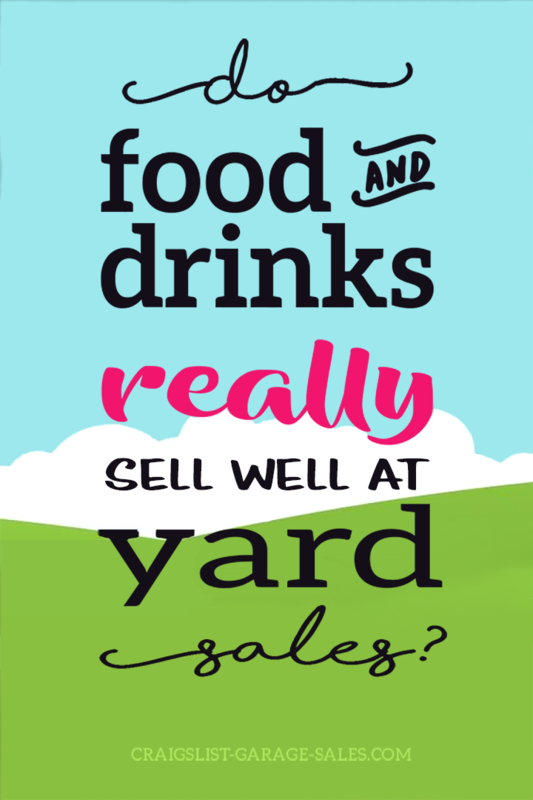 Just remember to factor any additional costs into your offer! Did I mention it hasn't been used? If you see this posting item is still available! 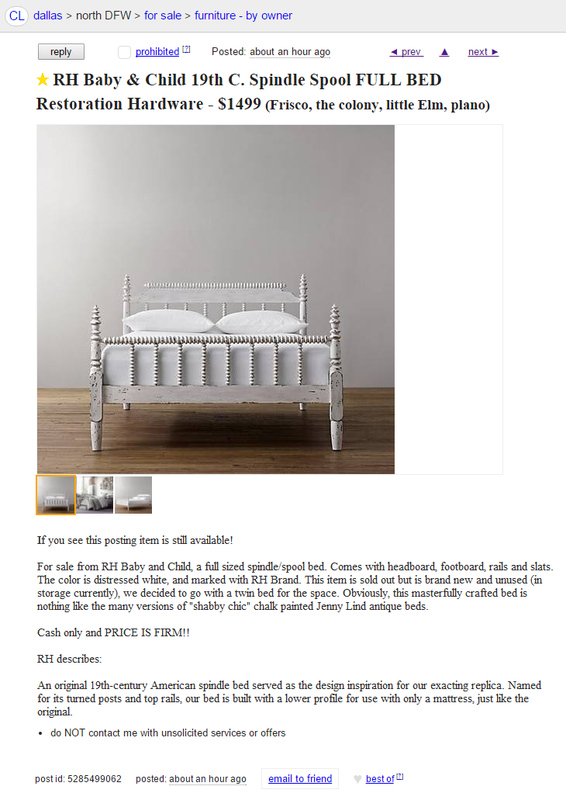 For sale from RH Baby and Child, a full sized spindle/spool bed. Comes with headboard, footboard, rails and slats. The color is distressed white, and marked with RH Brand. This item is sold out but is brand new and unused (in storage currently), we decided to go with a twin bed for the space. Obviously, this masterfully crafted bed is nothing like the many versions of "shabby chic" chalk painted Jenny Lind antique beds. Cash only and PRICE IS FIRM!! An original 19th-century American spindle bed served as the design inspiration for our exacting replica. Named for its turned posts and top rails, our bed is built with a lower profile for use with only a mattress, just like the original." Are you a fan of 19th C. style Jenny Lind spool turned furniture? 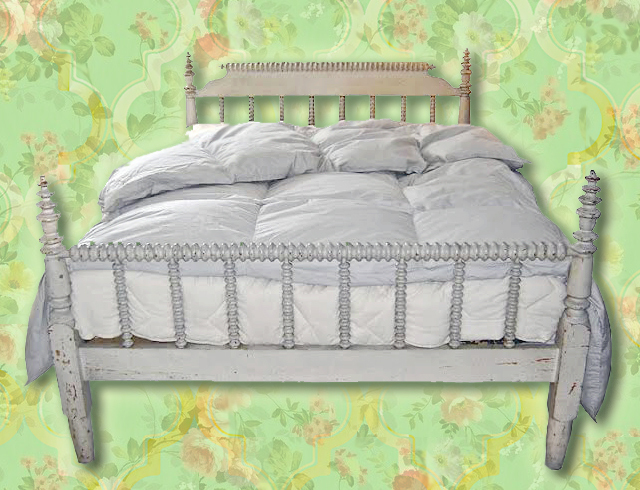 Did you sleep in a Jenny Lind spindle bed as a child? 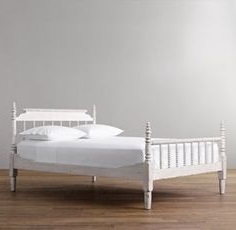 Do you dream of owning a Restoration Hardware spindle bed today? Tell us your Jenny Lind spindle bed story in the comments!